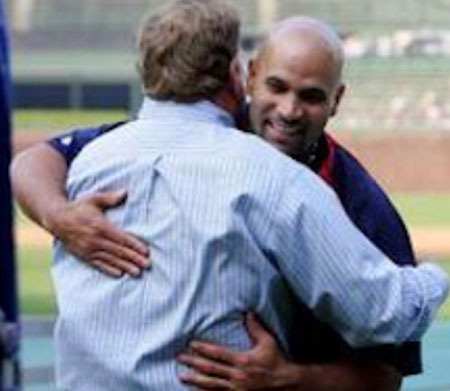 August 27, 2011 in Sports | Tags: Albert Pujols, Alfonso Soriano, Baseball, Chicago Cubs, Cubbies, Cubs, Cubs fired Jim Hendry, Darwin Barney, Fire Mike Quade, Greg Maddux, Jim Hendry, Kerry Wood, Kosuke Fukudome, Major League Baseball, Mike Quade, MLB, Pujols and the Cubs, Ryne Sandberg, Ryno for Cubs Manager, Sports, Who will be the next Cubs GM?, Who will be the next Cubs manager? 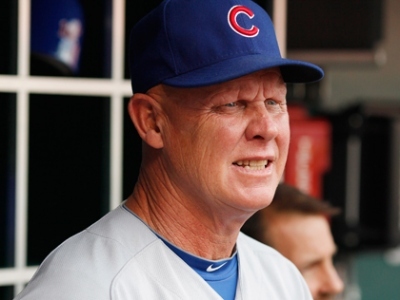 In case you haven’t heard, Jim Hendry was dismissed as the Chicago Cubs General Manager. In other words, Jim Hendry got fired. 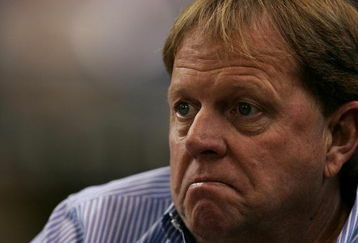 Why did Jim Hendry get fired? Because the Cubs have royally stunk for the past two years. Jim Hendry did some great stuff in his career with the Cubs. The Cubs won three division titles under him, and he signed such players as Kerry Wood, Derrek Lee, Starlin Castro, and Darwin Barney. However, he also signed Alfonso Soriano and Milton Bradley. Between Sammy Sosa storming out under his lead, Soriano being the most lazy player in the league, Milton Bradley being Milton Bradley, and Kosuke Fukudome never living up to his hype, Jim Hendry had awful luck with outfielders. Other than that, and the atrocious record the Cubs have had the past two seasons, Hendry was a decent GM. I met him personally in Boston, and he was great. Everyone in the organization has a lot of respect for him. The team just didn’t win enough games under him. He finished with a 749-748 career with the Cubs. I’m glad he got to leave with a winning record (that’s better than the Cubs are going to do this season). He also left with class. After receiving notice of his dismissal, he stayed with the team long enough to trade away Fukudome (thank you), and sign some great young talent from the draft. So…Happy Trails to you Jim. Thanks for the good memories. Good luck with some American League team. The question remains…So, now what? Here are my suggestions to make this team a playoff contender, and eventually, a world series champion team. Remember when the Tampa Bay Rays were awful? That was before Andrew Friedman. He has made them what they are. He does not blow money on stupid contracts (like Alfonso Soriano’s). He builds a good team around good young players. This is exactly the kind of guy we need in Chicago. This is not just me being bitter about my childhood hero getting passed over last year. Quade did ok at the end of last season winning games that didn’t matter. He has proven this season though that he does not have what it takes to manage a professional team. He’s a great assistant coach. He’d make a great bench coach, but not a manager. He does not have a good grasp on how to manage a pitcher. He alternately leaves pitchers in three batters too long, or takes them out an inning early. His hiring was my biggest problem with Jim Hendry, and now that it is time for a new GM, I think it is time for a new manager. Ryne Sandberg is the perfect candidate for the new Cubs manager. They should sign him for ten years and let him work his magic. Ryne Sandberg is one of the classiest guys to ever pick up a bat. 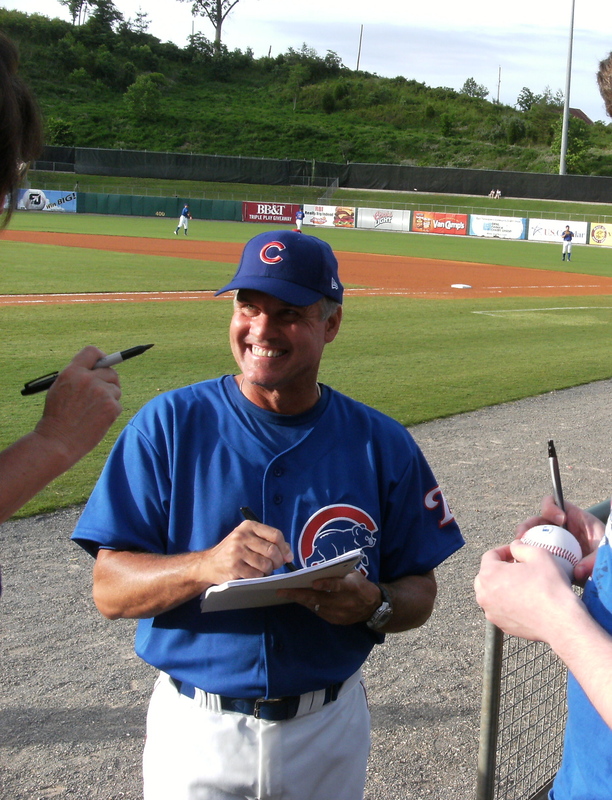 This picture is when he signed a ball for me while coaching for the Tennessee Smokies. He should have been hired as the manager last year, but Jim Hendry went with the emotional decision…Mike Quade. Ryno has proven that he can manage – and manage well. He is the best second baseman of all time, and Darwin Barney and Starlin Castro would quickly stop making errors under this .989 lifetime fielding percentage player. He also has a thing or two to teach these modern players that don’t want to sign autographs and are more concerned with making money than playing ball. He is a fan favorite, and his hiring would rejuvenate the Cubs team and fan base. Mr. Ricketts, make Ryne Sandberg the manager now. Thank you. 3. Do Whatever We Have to do to Get Rid of Alfonso Soriano and His Ridiculous Contract! Alfonso Soriano has the worst work-ethic in all of professional sports. OK, that might be a bit harsh, but he at least makes the top 5. He does not care at all. He is fast, can knock the cover off the ball, and has a great arm. Yet, he misses routine fly balls, and he averages 1 less base per hit than he should (Come on dude, you’re being paid 18 million. HUSTLE FOR GOODNESS SAKES!!!!!). His contract his hamstringing this organization. To quote Ted Williams, “If I was getting paid $30,000 [or 18 MILLION!!!] a year, the least I could do is hit .400.” Let’s find a way to get rid of him, even if we have to eat a chunk of his contract. We have Brett Jackson, and I’m sure we can afford another decent outfielder that hustles like Reed Johnson. 4. 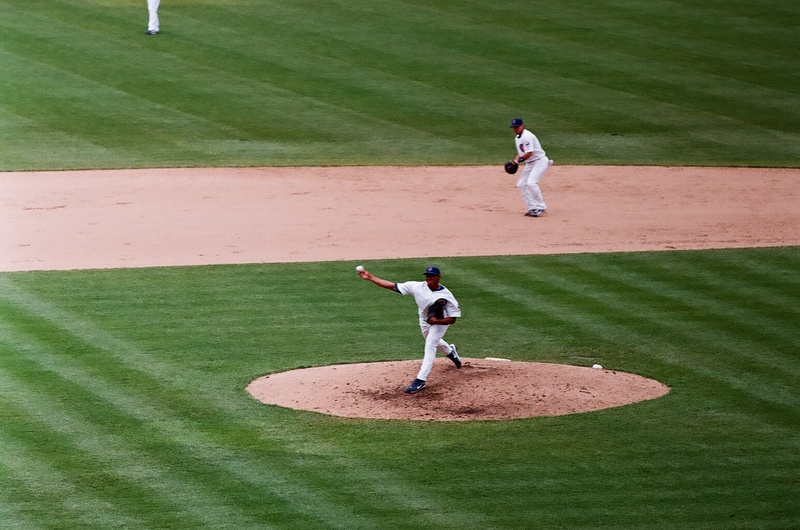 Teach Carlos Marmol to Throw Strikes or Trade Him to Someone Who Believes He Can. These kids are going to be great. Sign them to long contracts, and let’s build the team around them. Don’t be concerned with all the errors they’ve made this season, they’ll get better defensively if Ryne Sandberg is their manager. These guys have the potential of being a double-play combo on the same plane as other Cubs greats Tinker and Evers or Sandberg and Dunston. Maddux is one of the best pitchers of the past 50 years. He was dominant and brilliant. Please bring him in. If he were to coach the Cubs’ pitchers, I bet even Jeff Samardzija could be good. The Cubs’ two greatest deficiencies this year are defense and pitching. 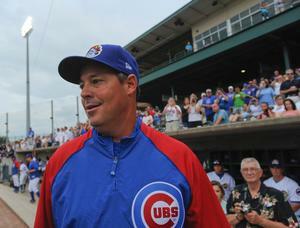 Ryne Sandberg and Greg Maddux could fix both of those in under a year – fact. Albert Pujols is an incredible player. He will be a first-ballot Hall of Famer, but I’m begging the Cubs to not spend $30 mil/year on him. With our luck, he will get injured and his numbers will decline – just like Alfonso Soriano. Let’s take that $30mil/year and go after three (or four) young and talented players that have their best years ahead of them. 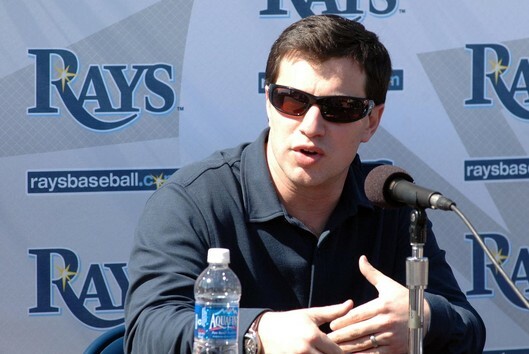 With all the Theo Epstein to become Cubs GM talk, it seems that the Cubs have ignored my suggestion of Andrew Friedman. I would be happy with Theo Epstein, as he has already proven capable of breaking baseball curses. I do worry about his tendency to give inflated contracts (e.g. Carl Crawford), but I have high hopes for what he could do with the Cubs.